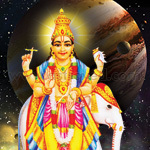 Jupiter is the universal teacher and is known as Guru or Brihaspati. 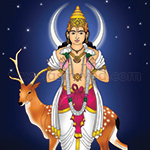 He is one among the Navagrahas, the nine dominant planets and is believed to be the most auspicious among them. He stands for excellence in learning, governs religion and spiritualism, and is said to be the planet of success. He also represents the lofty mind, the vision of truth, optimism, desire, and wisdom. Jupiter is a giant planet, the largest in the solar system. However, his astrological significance can be said to be much higher. He is believed to be the Deva Guru, the very wise and learned preceptor of the Gods and the heavenly beings. Guru also denotes one who is immense and great, while the planet itself is considered highly influential. 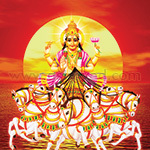 Jupiter also denotes children and wealth and hence is termed as both, Putra Karaka and Dhana Karaka. 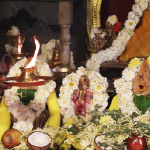 Guru worship is done in the form of Jupiter pooja, and this can get for the devotees the benevolence of the planetary lord and pave the way for many resultant benefits. Jupiter remains as the greatest benefactor among planets. It is enough for his mere sight to fall on a person, and he or she can hope for a world of good happening to them. He is a great cleanser, and once he chooses to bless an individual, that is believed to be enough to wipe out all other negative influences. He is also empowered to nullify all the afflictions that can be caused by other planets. Jupiter represents all great saints and Gurus of the universe, and this includes Dakshinamurthy, the teacher aspect of Lord Shiva. 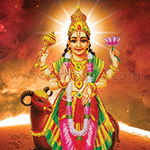 It is believed that performing the Jupiter pooja and praying to planet Jupiter amounts to offering worship to all the divine Guru forms and seeking their blessings. Thursday is the weekday which is under the reign of Jupiter and is called as Brihaspativar or Guruvar, the day of the planetary lord Jupiter. 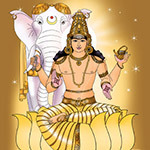 So is Jupiter Hora, the period of about an hour which holds in it, the substantial impact of Guru Bhagavan. 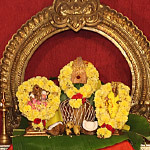 Hence, Thursday Guru Hora is considered as the most preferable time for performing the Jupiter Hora, for maximum advantage. Jupiter, the Guru, is the divine teacher. He is also a Godly preceptor, and education and knowledge can be said as the highest possible blessings that he can bestow on the devotees. 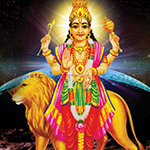 Performing Jupiter pooja can help the devotees access the powers of this celestial Guru, and this can manifest as a variety of far-reaching benefits. 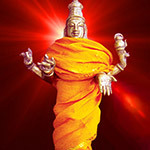 His blessings can help cure diseases and cleanse the body, mind and the soul of all impurities; become highly learned and knowledgeable; understand and improve one’s imaginative potential; develop sagacity and pragmatism; succeed in endeavors; acquire wealth by hard work and honest means, and live a well-respected life with comforts; and become an inspiration and role-model for siblings and friends. This sacred hymn is dedicated to the Guru Graha, the planetary lord Jupiter and pays obeisance to him. 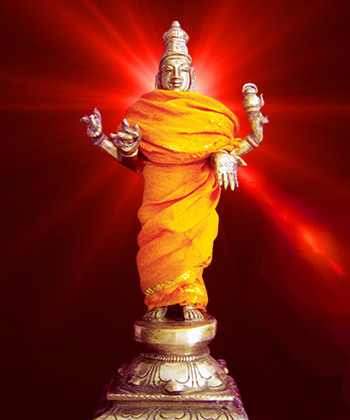 It is believed that this can Sloka can please Jupiter and get his blessings for the devotees.